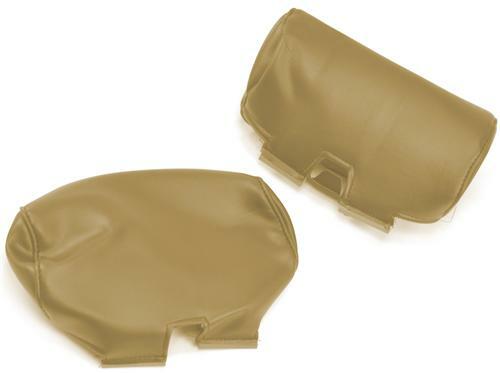 Replace your faded or torn Parchment Tan headrest covers in your 2004 Mustang with these identical replacements from Late Model Restoration today! 2004 Mustangs with original factory leather were equipped with large adjustable headrests. If you are replacing the upholstery in your 2004 Mustang, you'll need these headrests to finish the installation. These are patterned right off of the factory covers, are made of high quality vinyl right here in the USA, & are Parchment Tan in color.